With a $10 million grant from the Centers for Disease Control and Prevention, the University of Florida will lead a highly collaborative research program focused on stopping diseases such as Zika before they spread farther into the United States. The grant is part of nearly $184 million in funding the CDC announced Thursday to states, territories, local jurisdictions, and universities to support efforts to protect Americans from Zika virus infection and associated adverse health outcomes, including microcephaly and other serious birth defects. These awards are part of the $350 million in funding provided to CDC under the Zika Response and Preparedness Appropriations Act of 2016. 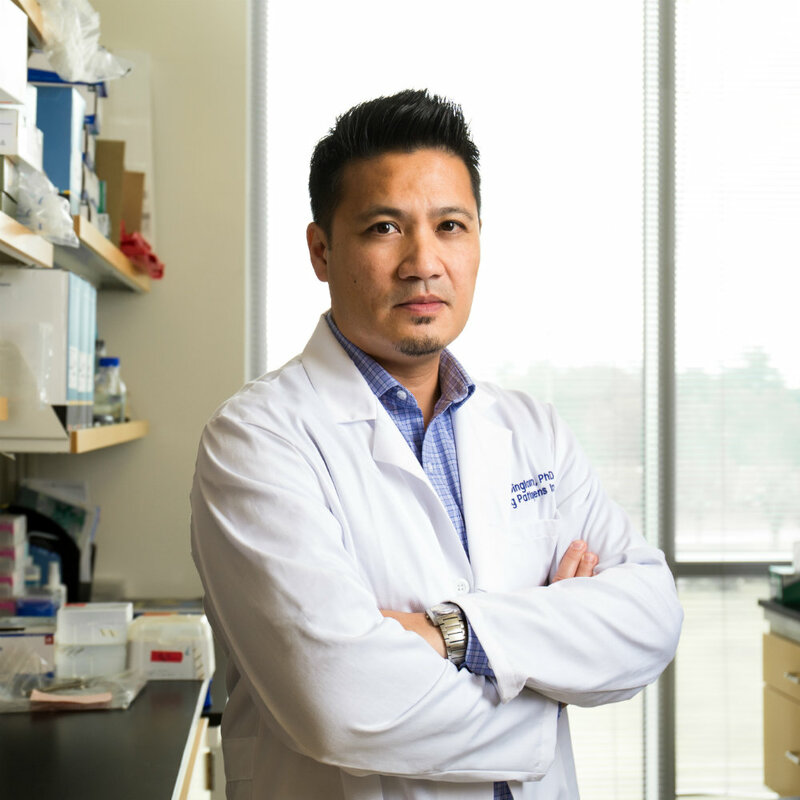 The Southeast Regional Center of Excellence in Vector-Borne Disease: The Gateway Program will be led by principal investigator Rhoel Dinglasan, a faculty member in the College of Veterinary Medicine’s department of infectious diseases and pathology associated with UF’s Emerging Pathogens Institute. Dinglasan has enlisted the University of Miami, Florida International University and the University of South Florida to collaborate on research to address the statewide and regional challenge of Zika and other diseases. Florida provides a unique environment to examine the biocomplexity of vector-borne diseases in real time. Miami-Dade is often an entry point for such diseases, adding to the urgency of the research and providing a real-world lab. Solutions that work in the densely populated urban environment of South Florida should work in other locations as well, Dinglasan said. State University System Chancellor Marshall Criser II and UF Vice President for Research David Norton noted the significance of the work. Dinglasan, who was recruited under the state’s Preeminence Program, had only moved to UF from Johns Hopkins University a month before the call for proposals for the Center of Excellence went out in September. A globally recognized malaria researcher, he knew just where to turn to assemble a team quickly, and he called on international experts at UM, FIU and USF. Each university has a particular expertise in diseases carried by vectors such as mosquitoes, ticks, flies and fleas. Although Zika has dominated the news lately, the long list of vector-borne diseases includes malaria, dengue, Chagas, chikungunya and yellow fever. The World Health Organization estimates there are 1 billion infections a year from vector-borne diseases and 1 million deaths. Dinglasan said he also looked for broad regional support for the Center of Excellence and found it in leading scientists at the Scripps Research Institute-Florida, the Naval Entomology Center of Excellence, the USDA Center for Medical, Agricultural & Veterinary Entomology, Florida A & M University, Georgia Southern University and the Florida departments of Health, and Agriculture and Consumer Services. The Center of Excellence also will leverage Florida’s 61 mosquito control programs as a sizable ground surveillance force that could report conditions and bring recommendations back to the labs. Training is a huge component of the center, with a focus on tackling the shortage of workers in public health entomology and addressing an impending retirement wave among mosquito control managers. The UF Institute of Food and Agricultural Sciences will play a key role in training, partly through its Center for Leadership, Dinglasan said. Each university brings a robust research program to the enterprise, Dinglasan said. FIU is conducting research on mosquito neural genetics, testing a bait that lures female mosquitoes to lay eggs in a trap that kills all the eggs. UM has developed an attractive toxic sugar bait that has been tested in Africa but not in an urban environment in the United States. Mosquitoes use sugar for energy, so using a toxic sugar bait to attract and then kill mosquitoes could reduce the need for spraying. At USF, researchers are working on a way to block transmission of eastern equine encephalitis by migratory birds, who winter in Florida and fly north in the spring. USF has identified locations where the birds contract the disease from mosquitoes and is working to target mosquito control in those areas to keep the migrating birds free of the disease. One of UF’s contributions is in mathematical modeling, to quantify how well the research-based solutions work. Dinglasan said modeling will allow researchers to test predictions over the five-year research program, with the goal of stopping vector-borne diseases before they travel north. Key to that modeling ability and to the Gateway Program is UF’s supercomputer, HiPerGator 2.0, the most powerful university supercomputer in the Southern U.S. and one of the fastest university supercomputers in the country. The collaboration on the Center of Excellence has already led the four universities to explore other research collaborations, Dinglasan said. Where one university had a need, another university has stepped in.